This post is excerpted from a letter sent Friday, November 2, 2012 via the Dd Newsletter (Sign Up Here!) following the devastation of Hurricane Sandy & includes links below to articles by Emily published in the Huffington Post about our partners in Haiti. 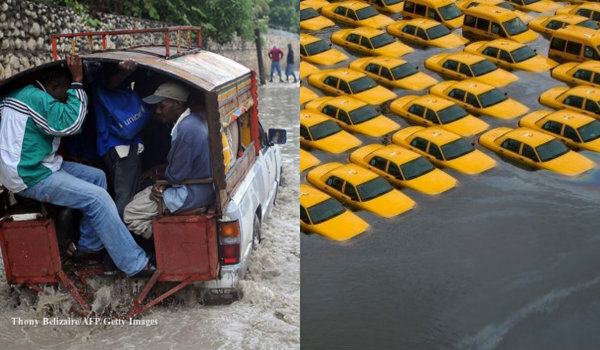 Over the past weeks, a powerful storm impacted Digital Democracy’s partners & team, in both Haiti and New York City. From flooded tent camps in Port-au-Prince to millions without power on the Eastern seaboard, the storm’s wind and rain forged a deadly path that connected our seemingly disparate communities. The reality is that extreme weather events resulting from climate change connect us all. A storm that devastates southern Haiti can also flood the NYC subways. Rising food prices as a result of the summer’s drought in the Midwest will affect economic markets around the globe. As Americans head to the polls next week, I’m struck by the size of the questions we currently face and the opportunities we have within and beyond electoral politics to shape our futures. In such times of uncertainty, the task before us is to combine our talents, resources and wisdom to collaborate on our vision of a future where all people are able to influence the decisions that govern their lives. For the Dd team, that means we’re learning from our partners in Haiti and focusing on the intersection of environmental and human rights. Natural disasters connect us all but they impact marginalized communities most urgently. We believe that to fulfill Dd’s mission to empower marginalized communities, we cannot ignore how climate change further isolates the most vulnerable members of societies around the world. That is why we are so thrilled to be investing in a new initiative in 2013. Remote Access focuses on building tools that allow remote, vulnerable and indigenous communities to better collect and share their data on human rights & environmental threats. Hurricane Sandy reminds us our survival depends on our on and offline social networks. I hope you will read more about the way our Haitian partners responded to the storm (in two parts published bythe Huffington_Post_: Part 1 & Part 2) and continue contributing your talents, ideas and resources to co-creating the future where we all wish to live.